SugarCRM vs Salesforce is a common comparison point for many CRM customers. It’s a choice that needs to be made before adopting a CRM for the organisation. Let us look at these two systems and see their differences and similarities. Salesforce is by any standards the leader in the CRM Market. To be a leader the company has to keep on adding more and more features. But in a mission to catch up, every follower tries to offer all the features of the leader or most of the features of the leader. SugarCRM offers almost all the features of Salesforce but comes with a new look and feel. SugarCRM has released a new version 7.0 in October 2013 and has been updating it since then to the latest 7.6 by October 2015. This new version has a highly flexible UI and also uses a Client Side MVC framework to make it much faster experience than other CRMs. Of course salesforce might soon catch up with the new technology. Salesforce is a pioneer in inventing the SaaS model or Software As a Service Model to counter the then existing packaged hosted solutions like SIEBEL. When salesforce came into existence in late 1990s, CRM was very expensive. Salesforce made it an affordable solution by accepting payments for yearly usage rather than for buying and hosting in the company premises. 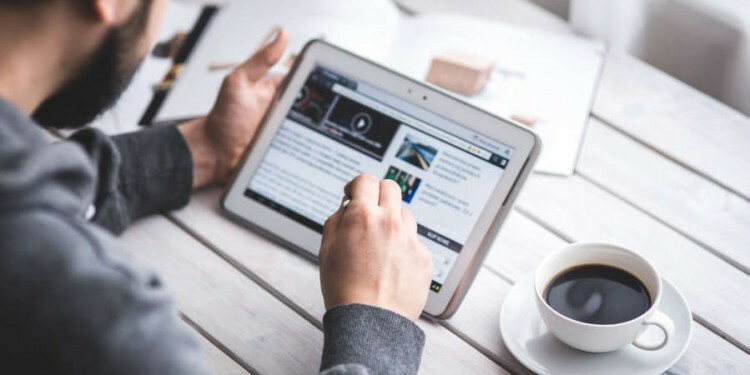 Even though there is a definite shift over a period of time from hosted CRM to Cloud CRM / SaaS CRM, there is still large market for Hosted CRM. In this scenario salesforce offers only SaaS CRM hosted on their own cloud. But SugarCRM offers lot of flexibility in terms of deployment. It comes by default with SaaS CRM hosted on SugarCRM own cloud which it calls as ‘SugarCRM On Demand” and the same application can be hosted on customer premise or any public cloud or private cloud. Unlike Salesforce’s csv file back up for migration, SugarCRM provides complete installation along with Database as back up so that anyone can restore it on their own hosting platform. The deployment option is not a problem as long as there is no corporate policy to host inside the premises or country regulatory framework allows customer data to be stored outside the country. If any of the above two conditions are a bottleneck, SugarCRM fares well against salesforce by providing an option to host. Since most of the companies are not maintaining their own data centres, SugarCRM is being hosted on public clouds like AWS or SoftLayer, or Microsoft Azure or private clouds provided by many cloud companies. And many countries are slowly but steadily putting regulatory framework not to sure customer data of financial institutes outside the country. In this scenario salesforce is altogether ruled out if they do not have their cloud hosted in that country. Both SugarCRM and Salesforce significantly invested in building a flexible and latest mobile app for their CRM. They are available for both Android and iPhone. The modules and fields that needs to be visible on the mobile UI can be controlled from the Admin area. SugarCRM has improved its application with the new client side MVC framework by making it a responsive application. That way, it renders neatly on the mobile browser if you do not want to download the mobile app. For SugarCRM Enterprise Edition and Salesforce Enterprise Edition the mobile application works offline too. When we go and look at salesforce pricing, there are too many options, addons and choices. This might make salesforce a one stop solution for an organisation, but it may confuse the first timers or small and medium businesses. Where as SugarCRM comes with a plain pricing policy and follows one price for one product mechanism. For the price you pay you get all the features and there is no selective enablement or disablement. There are two major editions that we can compare between SugarCRM and Salesforce. Both of them have Professional Edition and Enterprise Edition. The Enterprise Edition of SugarCRM matches in features and depth the Enterprise Edition of Salesforce. 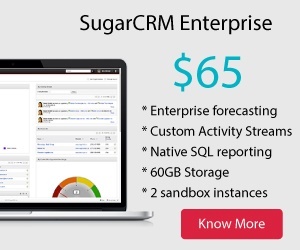 SugarCRM Enterprise Edition: USD 65 Per User Per Month. SugarCRM is almost available at 50% cheaper than Salesforce for the same / similar feature set. Because salesforce is a SaaS based application, from the beginning it worked on creating an admin area and specific language to customise the system and add business logic. The same mechanism is followed by SugarCRM. Salesforce and SugarCRM both comes with extensive web services API that help integrating the system with other systems. There may be inherent limits that control the usage of these APIs but if SugarCRM is hosted on the cloud or on premise these limits may not be a bottleneck for integrations. Salesforce comes with an enterprise level sales team across the board. For a prospective customer their enterprise level presentations and team presence in physical meetings can be rated very high. Whereas SugarCRM sells mostly through their partners. And SugarCRM partners may be small or large enterprises, and depending on the size of the partner company, SugarCRM sales experience during evaluation and sales process will be much different than Salesforce. The main difference here between SugarCRM and salesforce is, Salesforce sells with their own sales team and implements with the partner team. Whereas in SugarCRM case, partner does both the sale and implementation except for a pretty large deals where SugarCRM will be directly involved. All in all the above points present some of the differences to consider while choosing SugarCRM vs Salesforce or Salesforce vs SugarCRM.